A native’s profession should be determined with reference to lagna, 2nd, 10th and 11th houses along with the lords of these houses. Profession means source of earning money for livelihood. 1.Rasi Chart : The following factors require attention in the natal chart (Rasi chart). 3. There should be a relation between 5th and 10th houses. 4. The connection of the 5th and 10th with the 12th house. 5. Afflicted Moon or the lord of 5th house. b. The Moon or the lord of 5th house hemmed between malefics. NOTE: The relationship as mentioned above could be direct or indirect viz. the lords of respective houses can conjunct, they can exchange their respective signs or one may be aspecting the 10th house while other may aspect the 5th house. 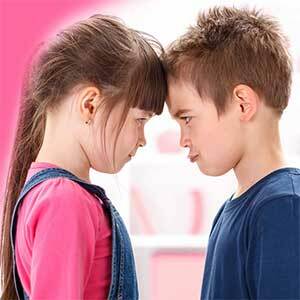 This relationship can also be considered effective in case either of the said planet be posited in the star/constellation of the other planet. Navamsha Chart: All the above mentioned houses and their lords should be studied on the same pattern as in case of Rasi/Natal chart. However, these planets can differ from those in Rasi/Natal chart. Role of Jupiter : Jupiter’s influence on the concerned houses or their lords should be given due importance due to its benevolent qualities. Important: Some of the classics as well as savants of astrology opine that Retrograde planet/planets should also be considered operating from the previous house from its actual location. Personal Experience : Role of 6th house is also very important in the charts of natives associated with medical profession. 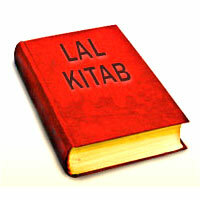 The 6th house becomes operational through its lord by influencing the referral houses or their lords. Lagna Scorpio rises at 22deg 20mnts. 5th house is having sign Pisces whose lord Jupiter is placed in 10th house in Leo whose lord Sun is placed in 5th. Thus there is a direct relation between the lords of 5th and 10th due to exchange of signs. Lord of lagna, Mars is placed in 10th house along with the lord of 5th Jupiter. Mars further aspects the 10th lord Sun by its 8th house aspect. All the technical planets Mars, Saturn and Rahu are influencing the 5th lord by being conjunct and all these planets have influence on 10th lord (indirect) by being in its sign. Moon though is not being aspected or associated with any of the malefic planet but it has itself turned to be a malefic by being just 67deg apart from the Sun hence it is pakshabali weak. Saturn and Rahu both are influencing the lord of lagna hence the rule laid down by classics applies. 12th lord Venus is placed in 7th house aspecting lagna it is itself under the influence of malefic Saturn. Lord of 6th house is Mars who is influencing all the factors thus the role of 6th house comes into prominence. In Navamsha chart lord of lagna Saturn is placed in 12th house. Lord of 5th and 10th in the Navamsha chart is one and same ie. Venus and Venus is associated with malefic Mars. Here Moon is also afflicted due to its conjunction with Mars. 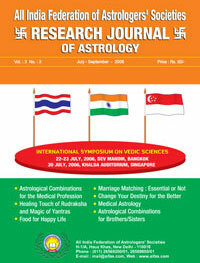 Lord of 12th house of Navamsha chart is Jupiter who is placed in 6th house in conjunction with the 6th lord Mercury. Jupiter is aspecting 2nd, 10th and 12th houses. Thus all the combinations are present in Rasi as well as Navamsha chart to make the native a doctor. Native did her M.B.B.S. from India and at present she is doing her post graduation in Australia. Lagna Taurus rises at 23deg23mnts. Lord of 5th is Mercury posited in the 4th from where it aspects the 10th house. Lord of 10th is Saturn who is placed in it its mooltrikona sign in 10th house. Thus lords of 5th and 10th both are mutually aspecting each other. Both these planets are influencing the lord of lagna Venus. Lagna is occupied by Jupiter and Rahu while Mars is placed in the 5th house thus all the houses viz. 1st, 2nd, 5th, 10th are interrelated. All the technical planets are influencing the referred houses and planets. Rahu along with Jupiter is placed in lagna. Moon is afflicted by being in constellation Mrigshira ruled by Mars and is hemmed between Rahu and Sun. Lord of 6th house is Venus who aspects the 10th house and 10th lord and in turn it is associated with 5th lord. Thus the prominence of 6th house is visible. 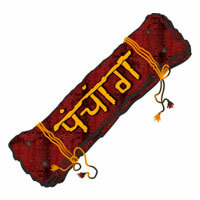 Lord of 12th is Mars who is placed in 5th house from where it aspects the 12th house. The 10th lord Saturn also aspects the 12th house. The 12th lord Mars is under the aspect of Jupiter. Sign Capricorn rises in lagna at 08 deg 42 mnts. Lord of 5th and 10th houses is Venus who is posited in 11th house. 5th house is occupied by lord of lagna and 2nd house. Thus there is a direct relation between the lords of 1st, 2nd, 5th and 10th houses. Jupiter is placed in 12th house in its own sign Sagittarius. Though Jupiter is not forming any relation with said houses or their lords but Jupiter is placed in the constellation Poorva Phalguni which is ruled by 5th and 10th lord Venus, thus this establishes relations(indirect) with the 5th and 10th lord Venus. Moon is afflicted by the aspect of Saturn. Moon is placed in the constellation Punarvasu ruled by Jupiter. Lord of 6th house is Mercury posited in 11th house in conjunction with 5th and 10th lord Venus and Mercury is in a mutual aspect to lord of lagna and 2nd house Saturn. Thus all the requisite combinations are present in the chart. In Navamsha chart sign Pisces rises in lagna and lord of navamsha lagna Jupiter is placed in 8th house aspecting 2nd, 4th and 12th houses. Sage Parashara has made it very clear for dual lagnas only that in case lord of lagna and that of 10th is same in that case one should probe the 10th house from the 10th. In the present case 10th house and lagna both are ruled by Jupiter therefore above rule will apply. The 10th to 10th is occupied by sign Virgo ruled by Mercury. Mercury is placed in 10th house in a sign ruled by Jupiter while 4th house contains sign Gemini ruled by Mercury and 4th house is under the aspect of Jupiter. Lord of 2nd in Navamsha chart is Mars and it is placed in 5th house where it is conjunct with Saturn and the lord of 5th Moon. Saturn is 12th lord in Navamsha chart. 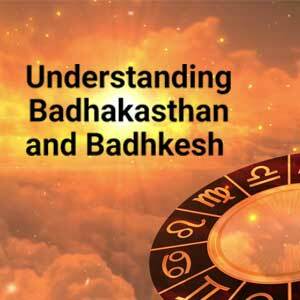 Lord of 6th house of Navamsha chart is Sun who is posited in 4th house under the aspect of lord of lagna Jupiter. Thus 6th house again comes into picture. Conclusion: These are the few examples to explain the rules laid down by the sages and savants of astrology. In all the horoscopes almost all the rules are applicable. Apart from it, it is important to note that 6th house plays an important role in the career of a medical professional. I have found the role of 6th house very prominent in horoscopes of doctors. Now I leave it to fellow astrologers and students to find out the validity of this rule.